RSS spokesman Manmohan Vaidya said that the Sangh convenes two meetings annually where the conditions prevalent in the country is discussed. A two-day meeting of the RSS chaired by its chief Mohan Bhagwat began here today to discuss the conditions prevailing in the country. 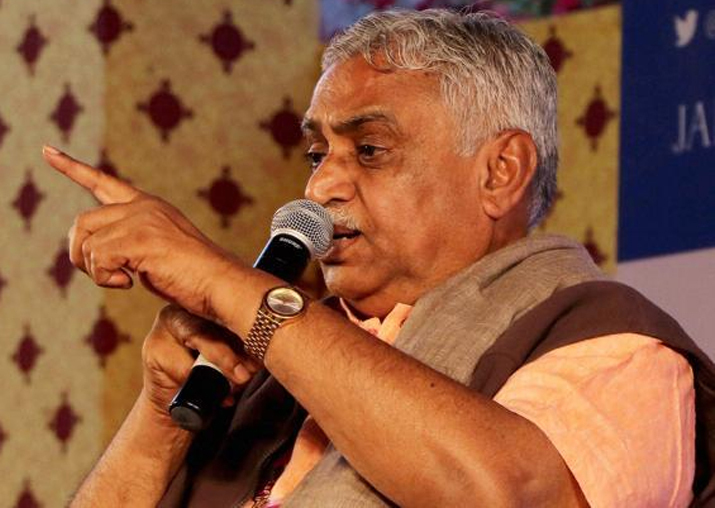 "The Sangh convenes two meetings annually where the conditions prevalent in the country is discussed," RSS spokesman Manmohan Vaidya told reporters here. He clarified that post the discussion, no decision would be taken at the meeting. Vaidya said that representatives of the BJP, ABVP, Bharatiya Kisan Sangh and other constituents of the Sangh Parivar are participating in the meeting. Claiming that the Sangh's cadre base was growing, he informed that more than 2 lakh youth had joined the organisation between January and June 2017. The number of Sangh's Shakhas (morning classes) has also swelled considerably, he said.